“Animal-Assisted Therapy and the Healing Power of Pets provides an essential foundation to anyone interested in animal-assisted intervention work, whether as a healthcare professional or as a volunteer therapy animal team with their dog or cat. Dr. Rand uses a narrative writing style, supplemented with photographs, to give the reader a deeper, more experiential understanding of the material and makes for a good read. 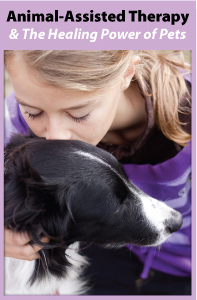 The course includes numerous clinical examples, evoking an awareness of the unique bond between people and their companion animals.” – Endorsement by Aubrey H. Fine, EdD, author of Our Faithful Companions: Exploring the Essence of our Kinship with Animals. If you love animals and are interested in learning how you and your patients/clients can benefit by adding them to your practice, this new course is for you! Deirdre Rand, PhD, is a psychologist in private practice in Mill Valley, California. She is best known for her work in the field of parent alienation in divorce and helped create the Family Bridges Workshop for repairing severely damaged parent-child relationships. Deirdre first began utilizing a canine assistant in her therapy practice in the 1970s, when she and her husband received an Australian Cattle Dog puppy as a gift from Dr. Aline Kidd and the Reverend Robert Kidd, who presided over their wedding. Cattle Dogs have been part of Deirdre’s life ever since. Most of these were rescues with temperament and socialization issues which could be challenging. In 2009, Deirdre and her husband adopted a dog named Bella, who was the most challenging of all. Bella had a sweetness about her, and a rare aesthetic gift, but her behavioral issues were too much for Deirdre and her husband to manage on their own. Under the guidance of a professional dog trainer, Deirdre learned how to work with Bella and her bond with Bella grew. Ultimately, it was this experience with Bella which inspired Deirdre to make animal-assisted therapy and the healing power of pets an important part of her work. 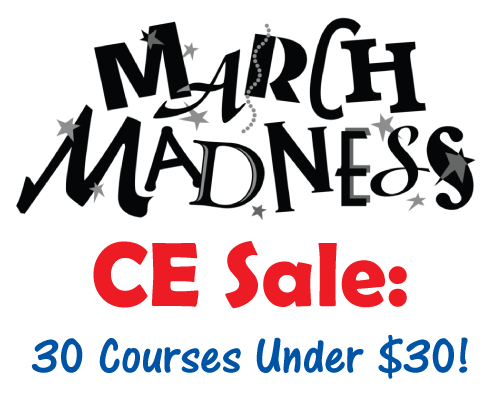 Successful completion of the online CE test (80% required to pass, 3 chances to take) and course evaluation are required to earn a certificate of completion.